In Haiti, a key way to improve mental healthcare is to work with religious leaders from Catholic, Protestant and Voodou faiths, says the Centre for Addiction and Mental Health (CAMH) in Toronto. Haiti’s voodoo religion heavily influences how mental illness is perceived and treated. For centuries Haitians have turned to voodoo priests for help. Both male “houngan” priests and female “manbo” priestesses perform ceremonies and sacrificial rituals to treat people. “Voodoo heals the mind, soul and body. The soul is what we are, which controls everything, all our actions and mind,” Max Beauvoir, the “Ati” or supreme leader of Haitian voodoo, told the Thomson Reuters Foundation. via Voodou Priests And Doctors Are On The Frontline Of Haiti’s Mental Health Care. 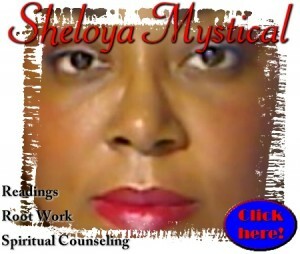 Readings, rootwork, and spiritual counseling.